In the fall of 1961, KGB assassin Bogdan Stashinsky defected to West Germany. After spilling his secrets to the CIA, Stashinsky was put on trial in what would be the most publicized assassination case of the entire Cold War. The publicity stirred up by the Stashinsky case forced the KGB to change its modus operandi abroad and helped end the career of Aleksandr Shelepin, one of the most ambitious and dangerous Soviet leaders. Stashinsky's testimony, implicating the Kremlin rulers in political assassinations carried out abroad, shook the world of international politics. Stashinsky's story would inspire films, plays, and books-including Ian Fleming's last James Bond novel, The Man with the Golden Gun. 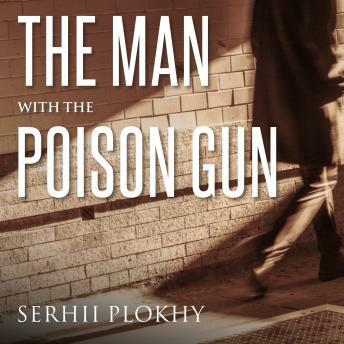 A thrilling tale of Soviet spy craft, complete with exploding parcels, elaborately staged coverups, double agents, and double crosses, The Man with the Poison Gun offers unparalleled insight into the shadowy world of Cold War espionage.